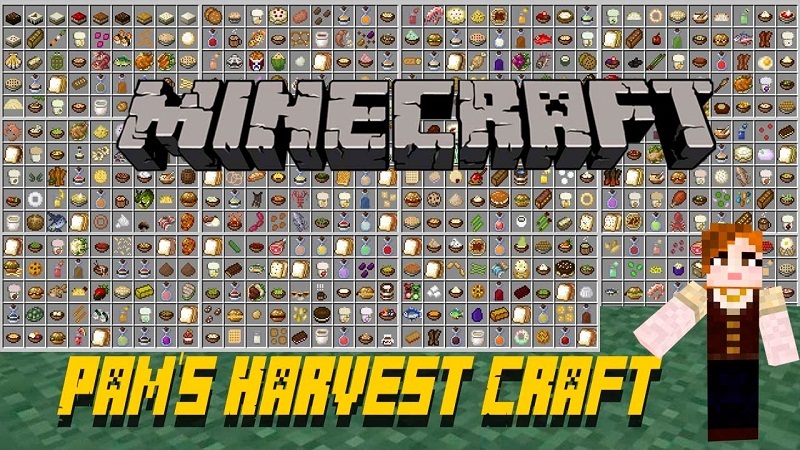 HarvestCraft Mod 1.12.2/1.11.2 changes the vanilla food restoration values in an attempt to encourage players to do more than eat cooked pork chops their entire Minecraft career. If this bothers you, change it in the config under enablevanillaBalance. 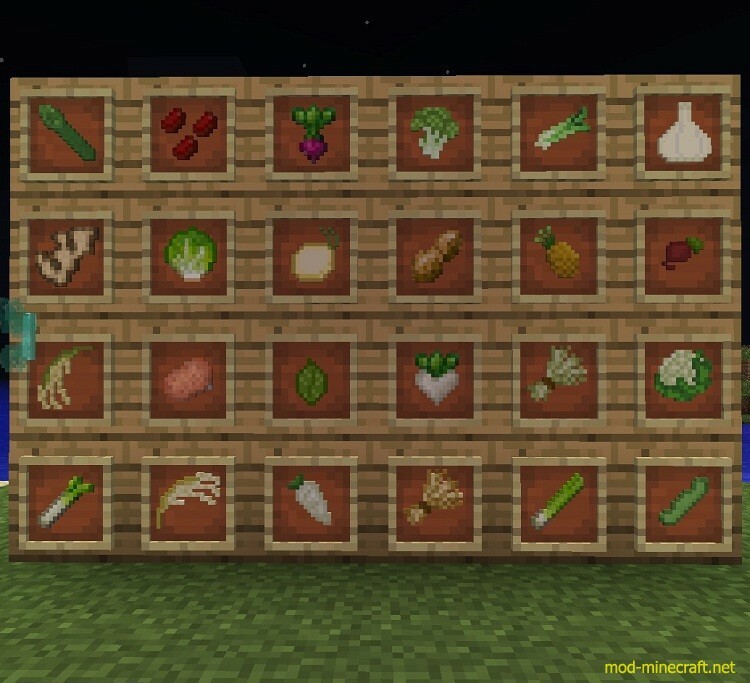 Please know, the entirety of HarvestCraft expects this option to stay true so if you turn to false, vanilla food will be the best thing to eat again. 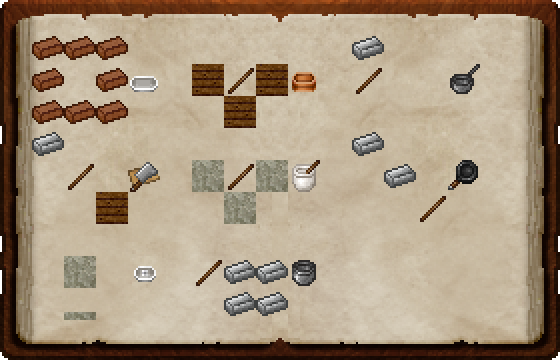 Crops in HarvestCraft work by default a bit differently than in vanilla Minecraft. There are two kinds of crops-normal and re-growth. To find seeds for my crops, break tall grass or find bushes out in the wild. 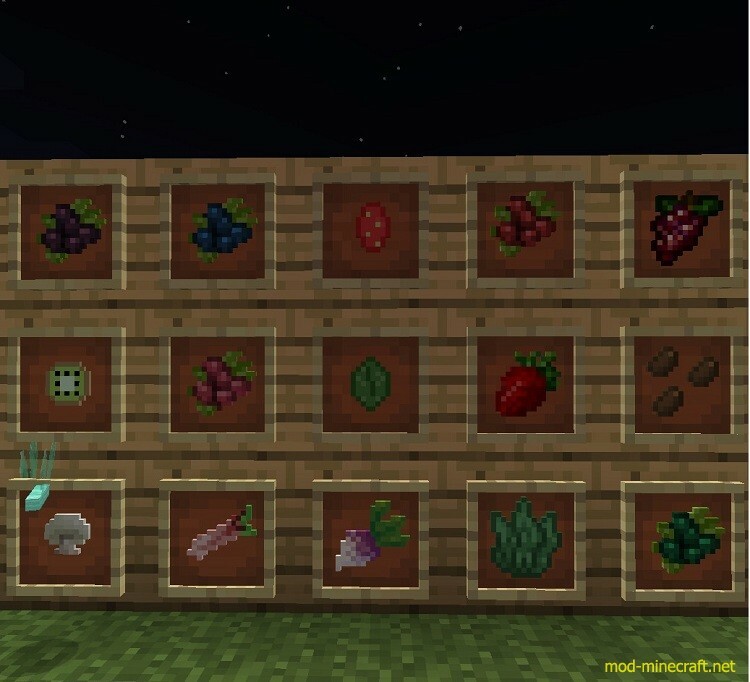 Normal crops grow through three stages of growth (that takes a bit longer than vanilla wheat to go through eight stages) and when mature can be broken, dropping 2-4 items of that crop with no seeds. 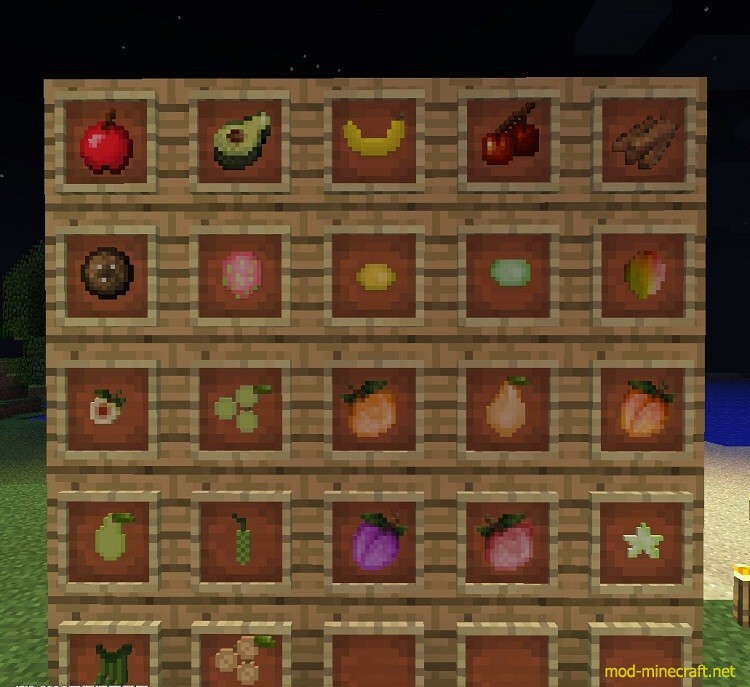 You can also turn on seeds dropping from normal crops in the config file (the normal crops will then drop one crop item and 1-3 seeds). 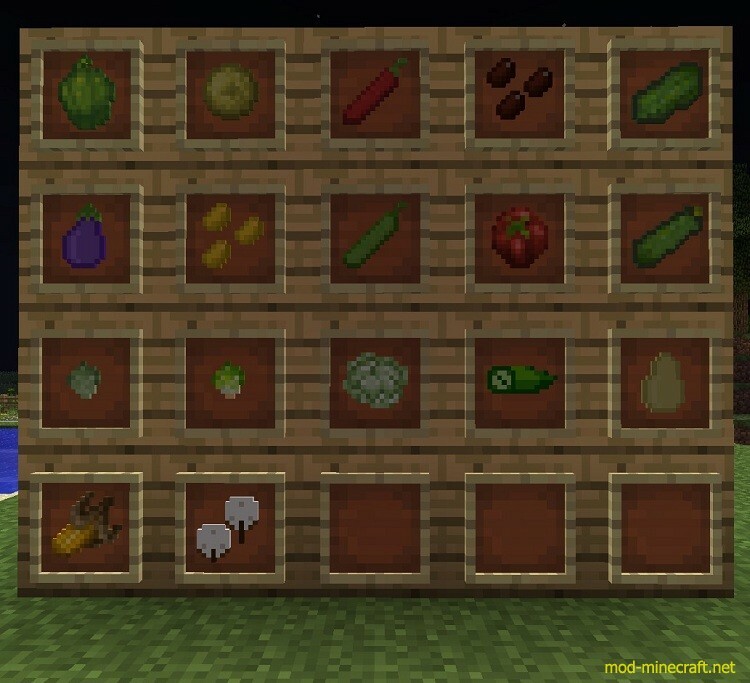 All of my crop items can be used as seeds when planting (think potatoes and carrots in vanilla Minecraft). 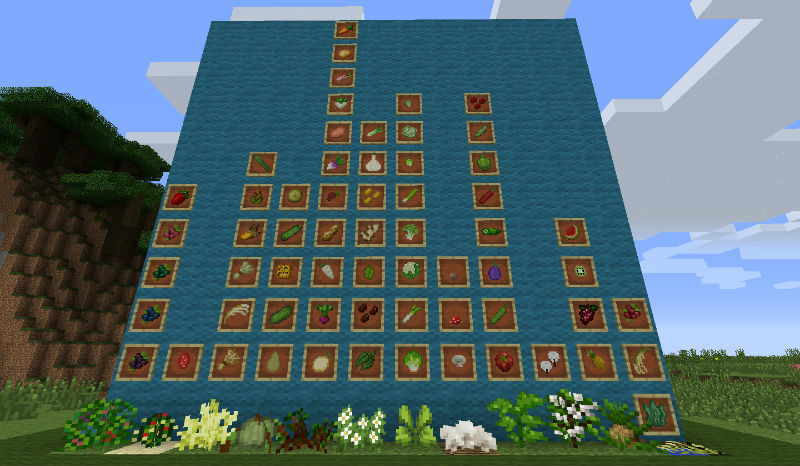 Re-growth crops also grow through three stages of growth and when mature, you can right-click on them to harvest a single crop item. The re-growth crop will then reset a stage to grow again without you having to re-plant. If it takes more than 1/10th of a second to break a crop, it’s not mature.